Double amputee can attempt Mt. Everest after Nepal lifts ban - Integration Through Media ....! After a change of heart, authorities in Nepal are allowing a double amputee who was banned from climbing Mt. Everest to reach his lifelong dream. Hari Budha Magar was originally denied permission by the Nepalese tourism office to climb the world’s tallest peak because he doesn’t have legs. The decision was part of a blanket ban, which also included solo climbers and the blind, to cut down the number of deaths on the mountain. But the 33-year-old appealed to the Nepalese Supreme Court and the decision was overturned. The British war veteran lost both of his legs in Afghanistan in April 2010, after stepping on a bomb while serving with the 1st Royal Gurkha Rifles. 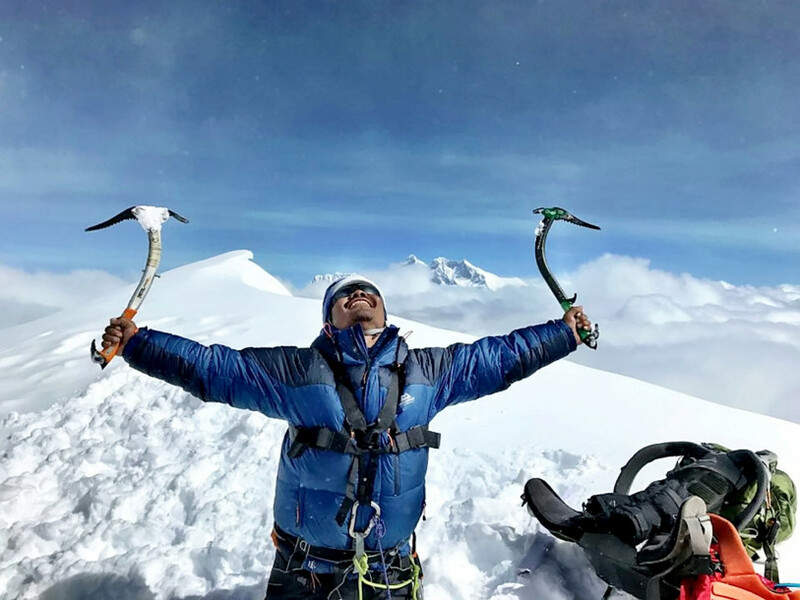 Hari began mountain climbing as part of his recovery with some of his fellow servicemen and he already has scaled several peaks, including Ben Nevis and Mont Blanc. He is the only above-the-knee double amputee to have reached the 6,476-meter Mera Peak’s summit in Nepal. He explained to SWNS how a journalist friend took up his cause. “He appealed to the Supreme Court in Nepal on my behalf and they ruled that I should not be refused permission,” he said. Nobody with his level of disability has ever climbed Everest. His upcoming venture will be achieved with a group called Conquering Dreams, an expert team of Royal Gurkha, US Marine Corps and Navy Seal veterans.